BMW has revealed the first official teaser image of its upcoming flagship X7 SUV, which is expected to be revealed in full later this week. 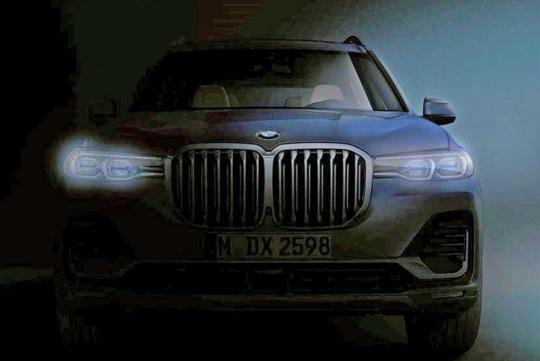 The darkened picture clearly shows the X7's front end, revealing the SUV's huge kidney grille and sleek blue-tinged laser headlights. It also looks to get a set of X5-inspired lower air intakes; we'll have to wait a little longer for our first look at the X7's interior. Previously, BMW showed a selection of camouflaged images – as well as some of the car moving down the production line. 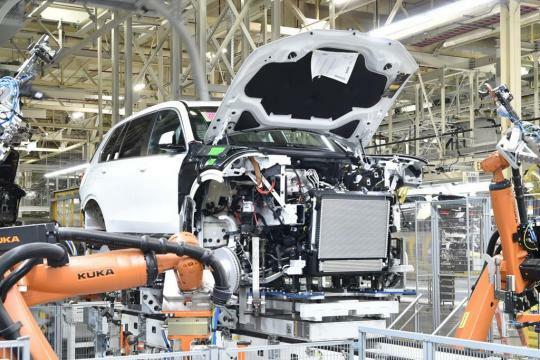 The cars in those images weren't final production-ready models, but pre-production cars used by engineers to asses the X7's capabilities and fine tune the way it drives in a number of scenarios. Built at the Spartanburg plant in the United States, the mules were built to undergo vigorous testing in extreme conditions. 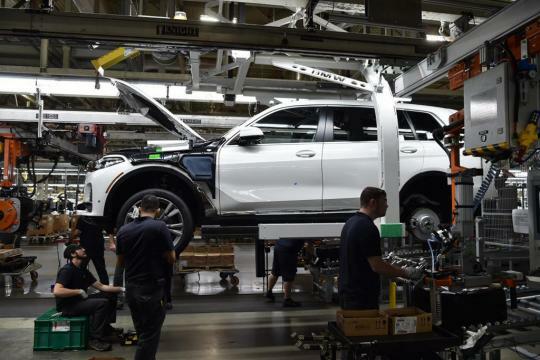 Though not quite the finished product, these cars are still a good indicator of what to expect when the wraps come fully off the firm's full-size Range Rover rival. Every image so far has suggested the production SUV will stick pretty close to the Concept X7 iPerformance revealed at the Frankfurt Motor Show in September 2017. 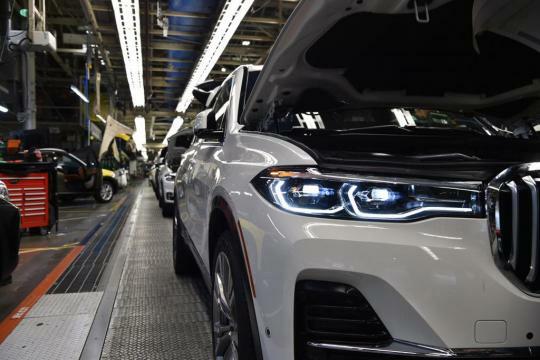 BMW’s board member for sales, Ian Robertson, describes the expansion of the carmaker’s luxury class presence as “one of the most important elements of our corporate strategy”. 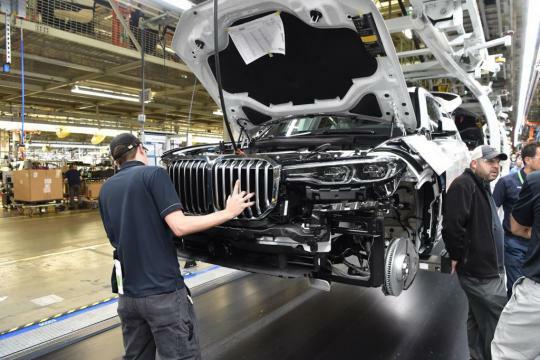 The X7 will sit alongside the 7 Series and forthcoming 8 Series as the brand flagships, with the SUV expected to feature a broader range of petrol, diesel and hybrid variants at launch. Prices will be slotting the X7 above the Land Rover Discovery and Mercedes GLS in the market.